Author: Davis, Patrick A. Set In . . .
North America, USA, Washington D.C. 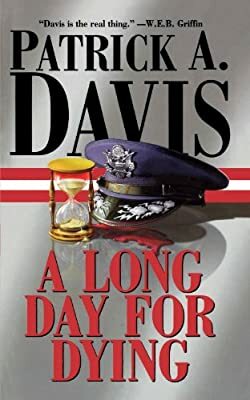 Description: New York Times bestselling author Patrick A. Davis spins a gripping tale of deadly intrigue in a time of national crisis that races to the explosive final act. When General Michael Garber, the newly appointed Chairman of the Joint Chiefs of Staff, is discovered dead in the private compartment of his airplane, Air Force investigator Martin Collins finds himself thrust into the most dangerous case of his career. What initially appears to be an accidental death turns out to be a near-perfect murder -- and three members of the Joint Chiefs are the prime suspects.